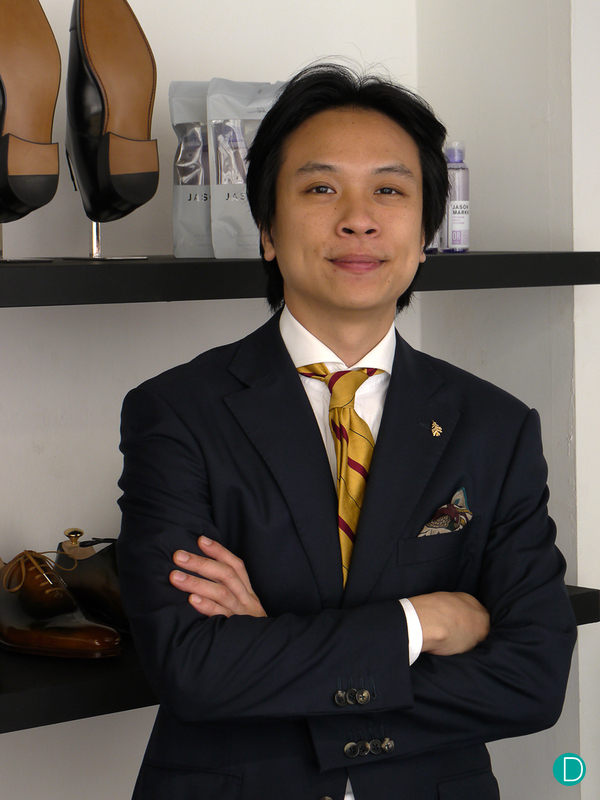 For today’s Sartorial Musings, we learn how to polish your own shoes, taught by none other than the World Champion of Shoe Shining: John Chung of Mason & Smith Singapore. The young Singaporean who decided not to go to University after completing his mandatory military service, though he had secured a place to read Art, Design and Media in the National Technological University. But decided to start a career in shoes. First selling pre-owned shoes, a trade where he learnt that in order to make the shoes more attractive, he could polish them to a good shine. And that ignited a passion for the craft of shoe polish. Mainly self taught through books and YouTube videos, he founded the first high end shoe shine salon in Singapore in 2013- and called it Mason & Smith. 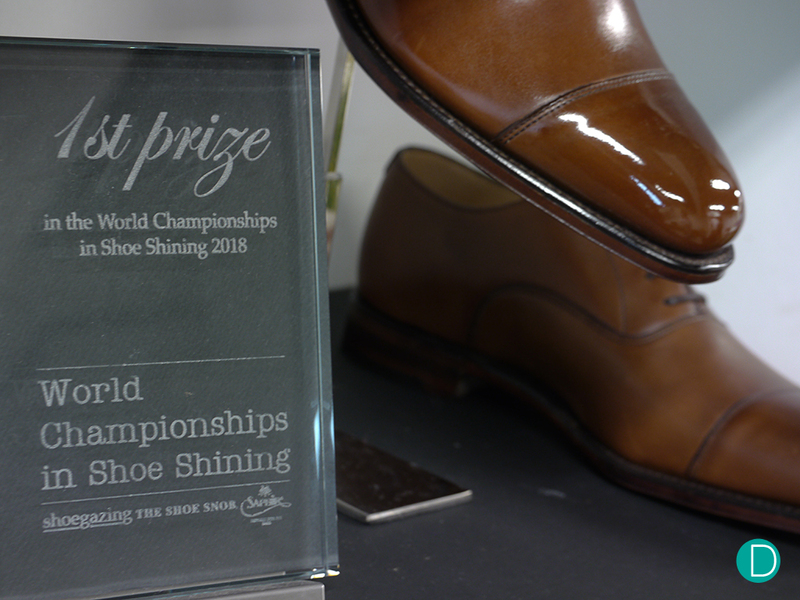 The opportunity came at the World Championships in Shoe Shining in London in 2017, where he was placed first after some tough competition from two other finalists who were more experienced than him. 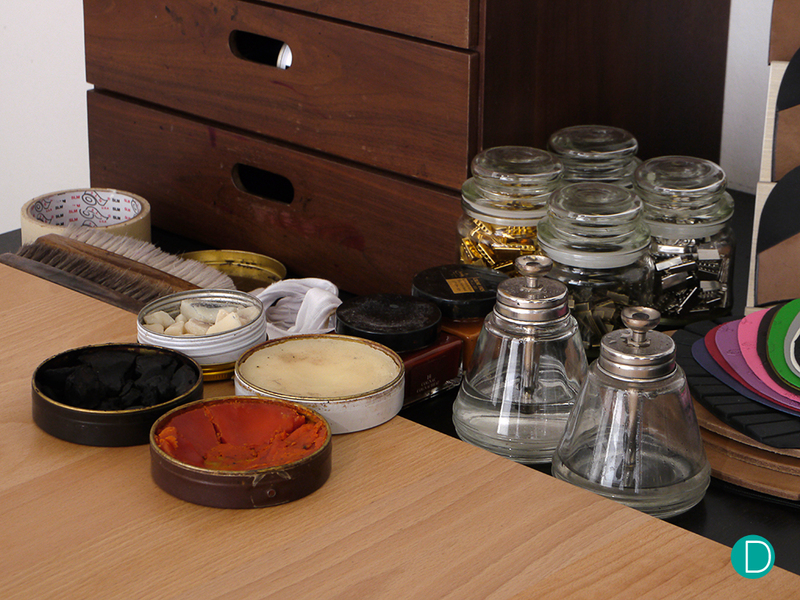 We visited John in his atelier in Telok Ayer, right by the downtown central business area in Singapore, and he shared with us how he polish his shoes. His technique is rather unorthodox. He first applies cream in abundance over the shoes after cleaning them with a leather lotion. He uses his own fingers in place of an applicator as he feels he can get the cream deeper into the leather, nourishing the leather. He then gives the shoes a light buff with a horsehair brush, removing excess cream. At this stage the shoes show a light shine. He next applies wax, also with his fingers. The final polishing stage is done with water and alcohol with a cloth. He does not use a ladies stockings like many other shoe shine experts swear on as he feels that the while the stockings are good for touching up a pair of well polished shoes, he can achieve a better shine with his technique. Here we present the video, with John himself narrating. The video is about 19 minutes long, and the entire process took about 35 minutes in real time. Mason & Smith uses Saphir products in their work, and John highly recommends them. The shine on the rather dull Vass Budapester Triple Welted shoes tell the tale. Beautifully shiny on the toe. The shoes belong to the Chief Editor, and are about 12 years old. When we brought them in to John, the leather had a dull shine on it from years of neglect. 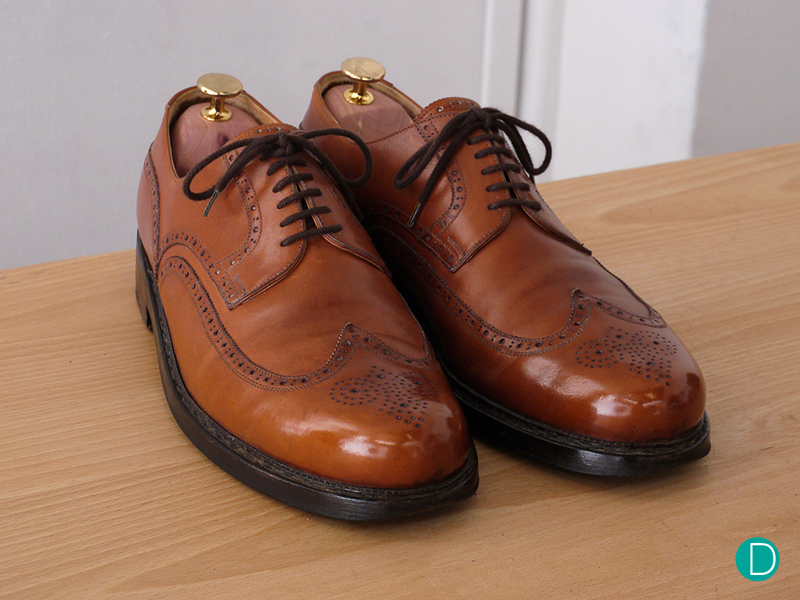 Mason & Smith also offers a complete service shoe menu from shoe shine to repairs. John himself is learning to be a cordswainer, learning all the trade from masters in Japan and Hong Kong. Editor’s notes: Videography by Peter Chong (A and C Roll) and Daniel Chua (B Roll). Video post-production by Dan-Andrei Kluska. Narration by John Chung. Shoeshine Artistry by John Chung. Still photographs by Peter Chong. Video note: We shot the A Roll footage at 50 frames per second, not recognizing then that it created interference bands on the video from the constant lighting source powered from the Singapore mains electricity running at 50 Hz. The B Roll was shot at 60 frames per second, and is largely free from this interference. While John wore a lavalier microphone under his tie, Mason & Smith shares the premises with a hair dresser who were operational when we shot the video. The entire video was done in one single take.